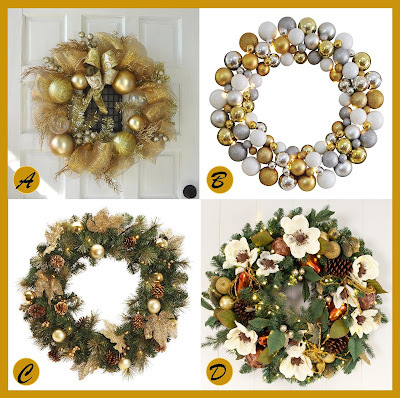 Go for the Gold this Holiday Season....Here are a few beautiful golden themed Holiday / Christmas wreaths that will make a stylish statement on your front door. This 24" wreath is a stylish alternative to the traditional evergreen wreath. 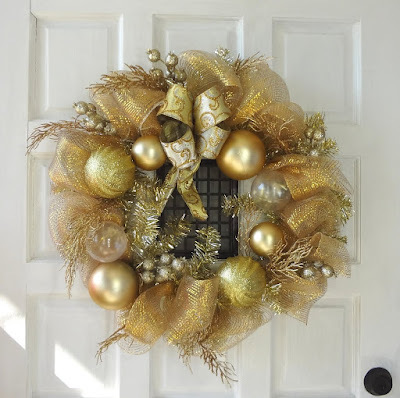 The brilliant gold color and just the right amount of sparkle make this wreath a beautiful compliment to your entryway. 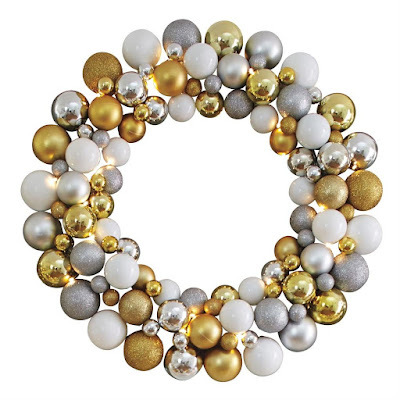 If you are looking for a more modern twist this pre-lit ornament wreath is the perfect addition to your modern theme. 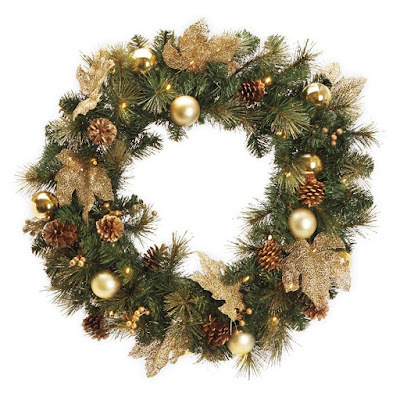 And you can't go wrong with this pre-lit sparkling traditional wreath with golden leaf accents and pinecones. 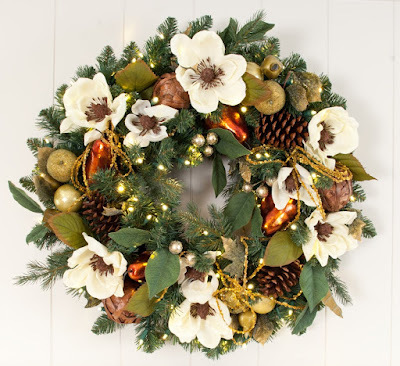 Give your that extra special something with this stunning life-like golden pear and magnolia 30" pre-lit wreath. 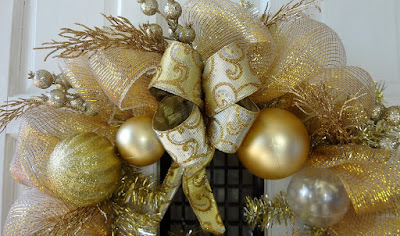 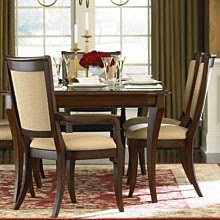 It is sure to give a little extra sparkle to your elegant entry.